This article is about Wooden Barrels. For the ceramic version, see Large Ceramic Vessel. Sealed barrels will overburden players if not worn on the back, even if they are empty when sealed. Barrels are crafted with seven lumber of the same wood type. Barrels can be crafted from every different type of wood, but this has no effect on the barrel other than aesthetically. Barrels are filled with liquids by either placing a full bucket inside the barrel, by using a full bucket or another filled barrel/large ceramic vessel to Right Click on the barrel, or using the empty barrel to Right Click on a liquid source block. Once sealed, a barrel can be broken and moved by carrying it in the inventory. 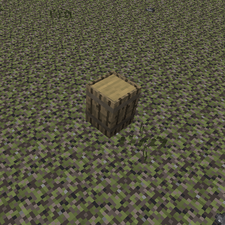 A sealed barrel will retain its contents, allowing the player to fill it in one location before moving it to another. If the barrel is not sealed when it is broken, it will dump the items onto the ground, and the liquid inside will be deleted. Sealed barrels must be carried one at a time in the player's back slot. If the player has a sealed barrel in their inventory that is not located in the back slot, even if the sealed barrel is empty, the player will see a message stating, "Overburdened" and will not be able to move. Note: All of the below recipes are the suggested minimum ratios. Any multiple of these ratios that will fit in the barrel will work. Liquid is the limiting factor for the majority sealed barrel recipes, meaning that a barrel can process the recipe if it has too much liquid, but it cannot process if it has too much of an item. Selector Tabs - Toggle between liquid and item storage. Type Label - Displays what is currently contained within the barrel. Time Label - Displays the date and time the barrel was sealed. Liquid Gauge - Displays how much liquid is currently contained within the barrel, max 10 buckets. In/Out Button - Determines if the barrel can have liquids put in it, or taken out of it. Processing Slot - Input slot for buckets and items to be processed, and the output slot for finished products. Seal Button - Seals the barrel for processing and moving. Empty Button - Deletes all liquid from the barrel. Output Label - Displays what will be created when unsealed. Note: If this does not state the name of what is trying to be made, something is wrong and it will not work, no matter how long the barrel is sealed for. Seal Button - Seals the barrel for moving. 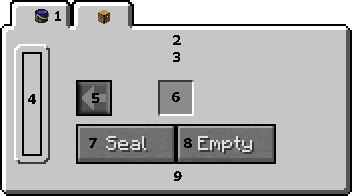 Inventory Slots - Barrels can hold up to 12 slots worth of items. Fresh Water barrels are used as a starting point for tannin and alcohols, as storage for drinking water, to quickly cool down heated items, to create jute fibers, to process sugar cane, and to turn scraped hides into prepared hides. An unsealed barrel can be placed outside with direct access to the sky, and will accumulate fresh water when it is raining. A full fresh water barrel will fill 10 Ceramic Jugs; or can process 50 jute, 166.66 oz of sugar cane, 33 small scraped hides, 25 medium scraped hides, or 20 large scraped hides. Alcohol is created by adding a correct amount of food to a fresh water barrel, and then sealing the barrel for 72 hours. For every 1,000 mB of fresh water in the barrel, there must be between 4 and 12 ounces of food in the input slot. This means that a full barrel requires anywhere between 40 and 120 ounces, although it is recommended to use as little as possible, as the excess food is simply consumed and has no effect on the alcohol produced. Note: A full 160 ounce stack of food can be used to create FOUR full barrels of alcohol. Attempting to use the entire stack to create a single barrel of alcohol is an excessive waste, and therefore will not work. The stack must be divided into smaller pieces before it can be used to create alcohol. Vinegar is created by adding a large enough piece of fruit to an alcohol barrel, and then sealing the barrel for 8 hours. Fruit is the limiting factor in this recipe, meaning that for every 1,000 mB of alcohol in the barrel, there must be at least 10 ounces of fruit in the input slot. Adding an excess of fruit will simply consume the entire fruit in making the vinegar. Brine is created by adding a single bucket of vinegar to a barrel containing at least 1,000 mB of salt water. The recipe is instant, and does not require the barrel to be sealed. Brine can be used with any type of food except for those in the grain category. To brine a piece of food, first make sure that there is enough liquid in the barrel to brine the weight of the food. If there is not, either add more brine to the barrel, or cut the food into smaller pieces. Vinegar can be used to pickle any piece of brined food. To pickle a piece of food, first make sure that there is enough liquid in the barrel to pickle the weight of the food. If there is not, either add more vinegar to the barrel, or cut the food into smaller pieces. While it requires 1,000 mB of vinegar for every 16 ounces of brined food in order to start the process, only 1 mB of the vinegar will be consumed for each ounce of the item sealed in the barrel. Once a piece of food has been pickled, it can be stored in a sealed vinegar barrel indefinitely to drastically reduce the rate at which it decays. Preserving pickled food in vinegar requires a minimum of 1,000 mB of vinegar for every 32 ounces of pickled food. Limewater is created by placing flux in a fresh water barrel, using a ratio of 2 flux for each bucket (1,000 mB). Limewater creation is instant, and will consume the flux the moment the ratio is valid. Limewater barrels are used to create mortar and turn raw hides into soaked hides. A full limewater barrel can process 1,600 mortar, 33 small raw hides, 25 medium raw hides, or 20 large raw hides. Tannin is created by placing a single Oak, Birch, Chestnut, Douglas Fir, Hickory, Maple, or Sequoia log in a fresh water barrel and sealing it for 8 hours. A single log is enough to turn any barrel with at least 1 bucket (1,000 mB) of fresh water into tannin. 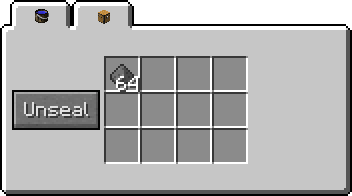 Adding additional logs will result in either the recipe being unable to process (shown by no message at the bottom when sealed), or the excess logs will simply be consumed. Tannin is used to tan prepared hides into leather. A full barrel of tannin can process 33 small prepared hides, 25 medium prepared hides, or 20 large prepared hides, producing 33 leather for small, 50 leather for medium, and 60 leather for large. Curdled milk is created by adding a single bucket of vinegar to a barrel containing at least 1,000 mB of milk, and sealing it for 8 hours. This will result in an amount of curdled milk equal to the original volume + 111 * (original volume / 1000). For example: Adding vinegar to 1,000 mB of milk will result in 1,111 mB of curdled milk. Adding vinegar to 5,000 mB of milk will result in 5,555 mB of curdled milk. The exception to this calculation is adding vinegar to 9,000 mB of milk, which will result in a full barrel, instead of 9,999 mB. After the milk has curdled, remove the empty bucket and seal the barrel for an additional 8 hours. The weight of the resulting cheese is dependent on the amount of curdled milk in the barrel, calculated with the formula (Volume mB) * 1 oz / 62.5 mB = Weight oz. For example: Using the three above examples of curdled milk, would result in 17.77 oz, 88.88 oz, and 160 oz of cheese respectively. When turning curdled milk into cheese any edible food (except more cheese) can be added to infuse the cheese with extra flavor, while keeping the dairy nutrition group. A maximum of 20 oz of food can be added to the curdled milk. The resulting cheese will have a flavor profile that is averaged between the cheese and the infusion, depending on the amount of infused food. Cheese that has been infused with the full 20 oz will have the exact same flavor profile as the infusion, and will have none of the cheese flavor profile. For example: Adding 10 oz of Garlic into 10,000 mB of Curdled Milk will result in 160 oz of Garlic Cheese with a flavor profile that is a 50/50 balance between garlic and cheese. 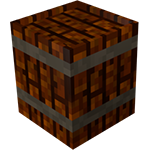 Powder kegs are created by placing gunpowder in the solid storage of a barrel, sealing the barrel, and then lighting it with a redstone signal. A powder keg that has been lit can be disabled by using Right Click with an empty hand before the barrel explodes. A minimum of 12 gunpowder is required for a small explosion, but more gunpowder can be added to increase the blast strength. 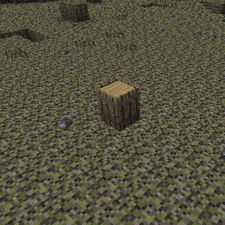 A barrel with 36 gunpowder will create the same size explosion as an uncharged creeper. 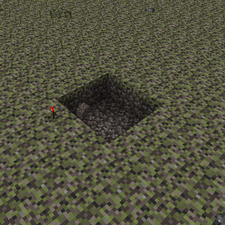 A barrel with 192 gunpowder (three stacks) will create a crater about 16 blocks wide. 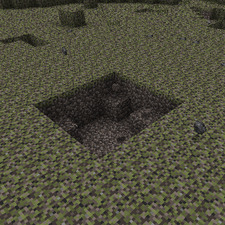 A barrel completely full of gunpowder (12 stacks) will create a crater about 40 blocks wide. Sizes will vary depending on the blocks' blast resistance and the location of the explosion. 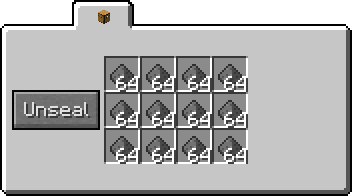 Unlike all other blocks which have a chance of being completely destroyed and dropping nothing, ores and minerals that are destroyed by an explosion have a 100% drop rate. This means that powder kegs can be used to quickly mine out large areas of ore. Note: Only the blocks that are destroyed by the explosion itself will have the 100% drop rate. 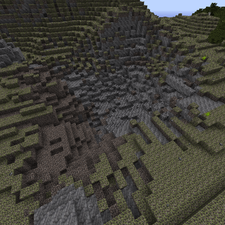 Any ore blocks that are destroyed by the falling blocks that were created from the explosion will drop nothing by default. Consecutive explosions from multiple powder kegs still destroy items that have already been dropped and are not picked up, including pieces of ore. 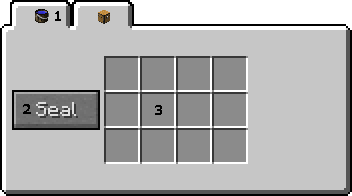 Raw stone that is destroyed by an explosion has a 30% chance of being converted to a cobblestone block, instead of disappearing and maybe dropping some rocks or a gem. Barrels can be used to catch the olive oil that is produced by pressing olives in a hopper. The olive oil in the barrel can then be used to fill and fuel oil lamps. Added placing a hot ingot in a barrel full of water to cool it down. Added ability to shift click the contents of a bucket directly into a barrel. Added the ability to blow up barrels of gunpowder. Added filling water bottles from barrels. Barrels retain inventory when broken. Added a toggle button for filling and emptying barrels. All alcohols except rum are disabled pending a barrel rewrite. Barrels contain two tabs, one for liquid storage and one for solid storage. Barrels render their liquids inside, and containers can be filled and emptied into barrels by right clicking on the barrel with item in hand. Barrels can be carried on the players back. Barrels can be filled from other barrels and large vessels. They can also be emptied into other barrels and large vessels via right clicking on the block. Barrel solid storage can hold large items instead of medium. Rewrote powder kegs. Explosions hitting raw stone have a chance to create cobblestone instead of dropping loose rocks. Added "Preserving" message to pickled food that is being stored in Vinegar. Fixed brining not consuming the correct amount of brine. Unfired large vessels can no longer pick up water. The amount of gunpowder inside of a powder keg determines the size of the explosion. Alcohol production only works with 4 to 12 oz of food per fresh water bucket, instead of having no upper bounds. Barrels and Large Vessels have grayed out slots when sealed to make it a bit more obvious that the slots cannot be interacted with until the container is unsealed. Dunk originally wished for powder kegs to be lit with a gunpowder trail rather than a redstone signal. 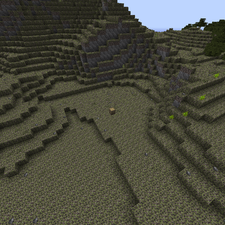 However, due to their common use in SMP traps, this feature would have been impractical. When consuming alcohol, the player will eventually experience side-effects including slurred speech in chat, and random potion effects. If the player drinks too much alcohol in a short period of time, they will die. This page was last modified on 3 January 2016, at 02:16.